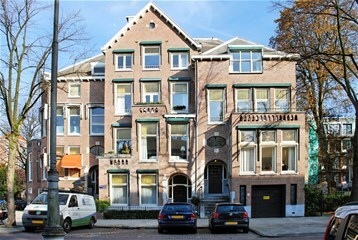 Emmalaan 17 a Amsterdam, Oud-Zuid - Peter Bruin Makelaardij o.g. b.v. 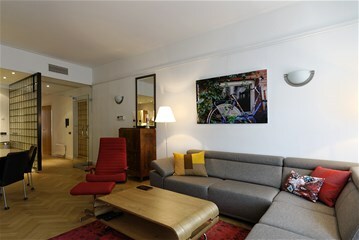 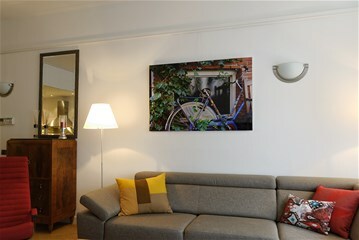 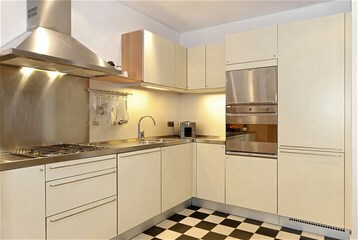 Spacious ground floor apartment of approximately 100m² with a patio including a covered bike shed. 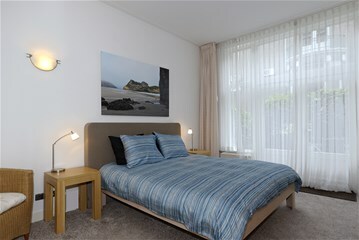 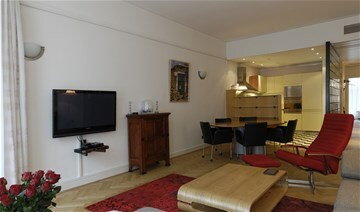 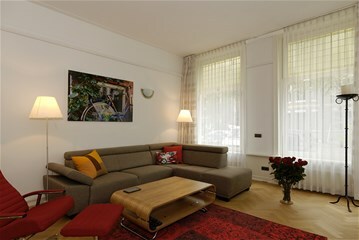 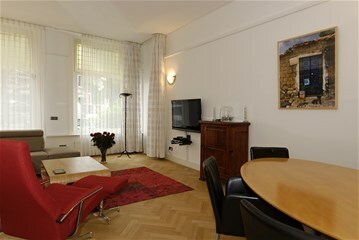 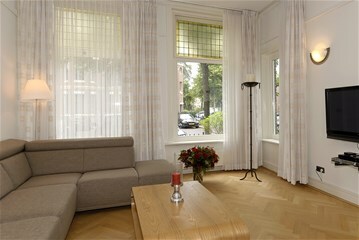 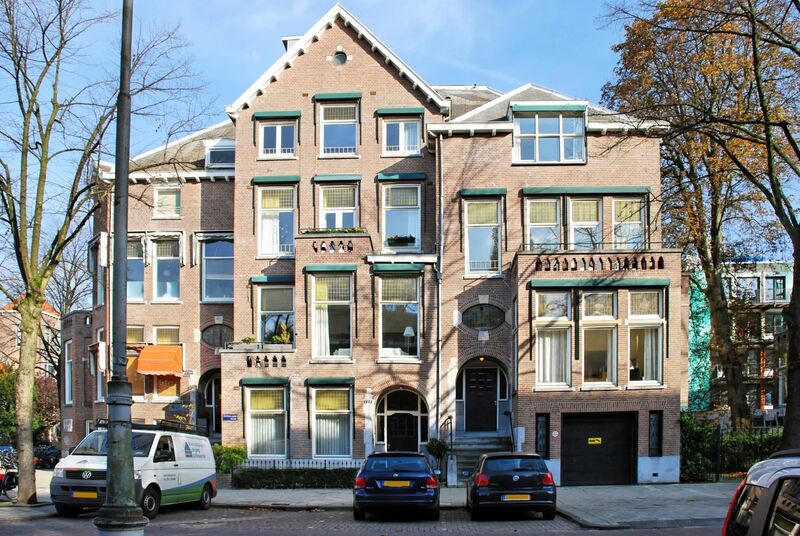 The apartment is situated in a completely renovated building in the popular neighbourhood Oud-Zuid. 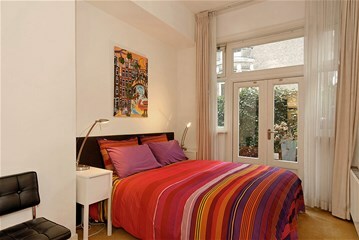 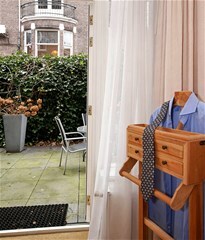 Within walking distance of many bars restaurants and shops both the Museum district and the Vondelpark are close by. 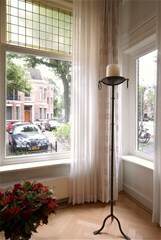 Good public transportation is within walking as well. 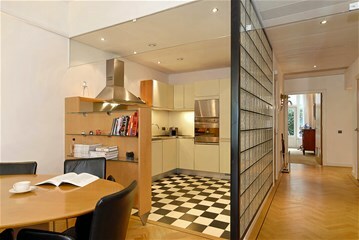 There are two bedrooms. 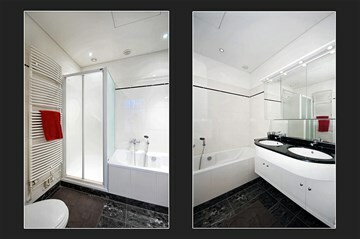 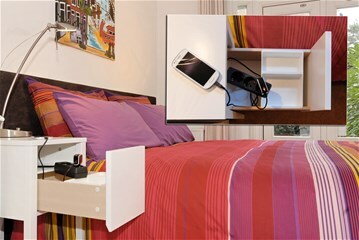 One master bedroom with an en­suite bathroom containing a shower, bath and toilet. 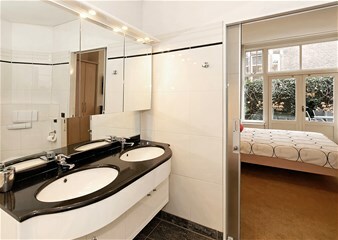 One guest room with a small second bathroom with shower and toilet next door.